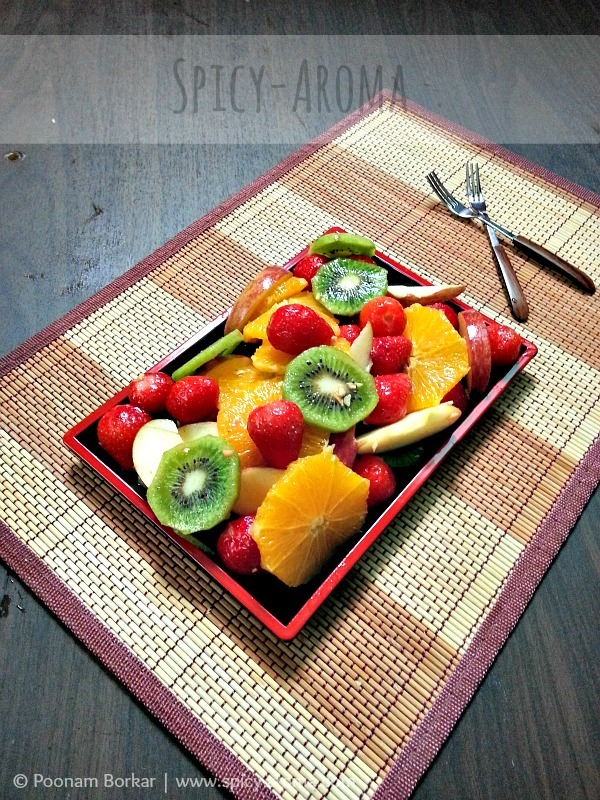 Peel kiwis and oranges. 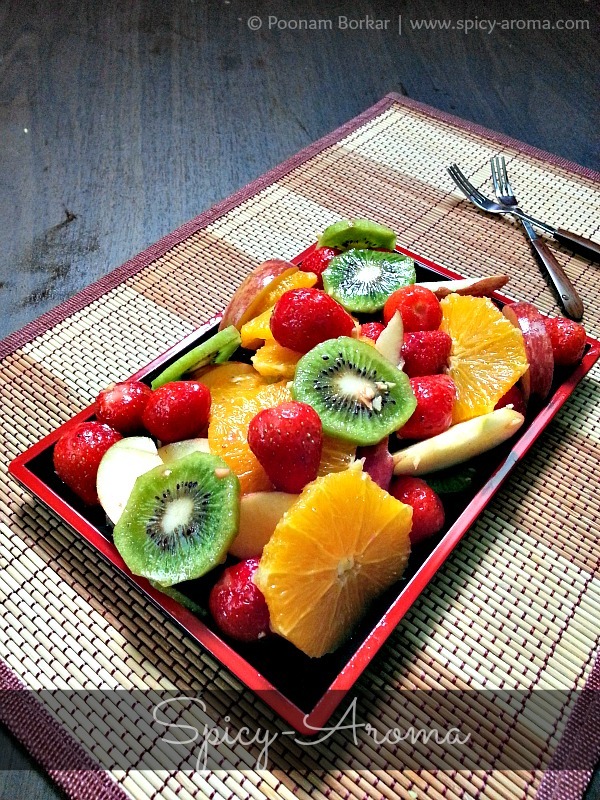 Cut kiwis and oranges into slices. 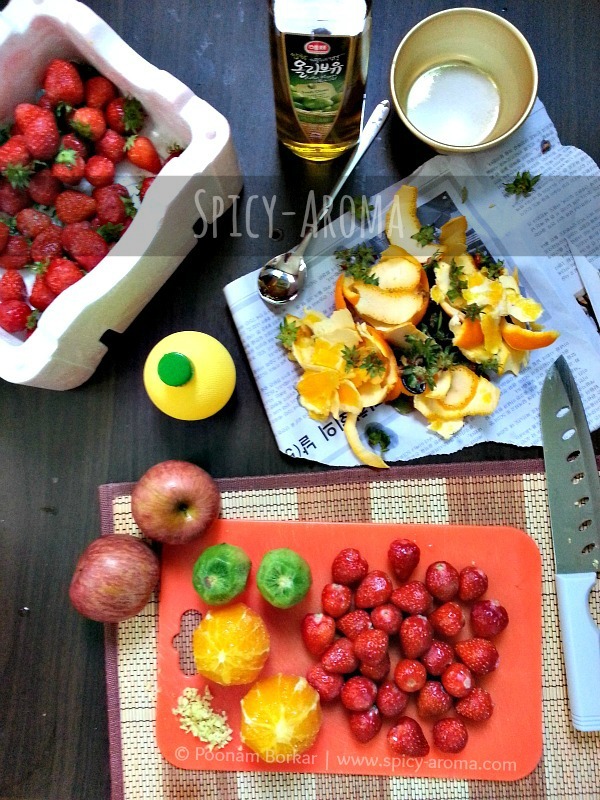 Then remove strawberry stems and cut the apple into slices. 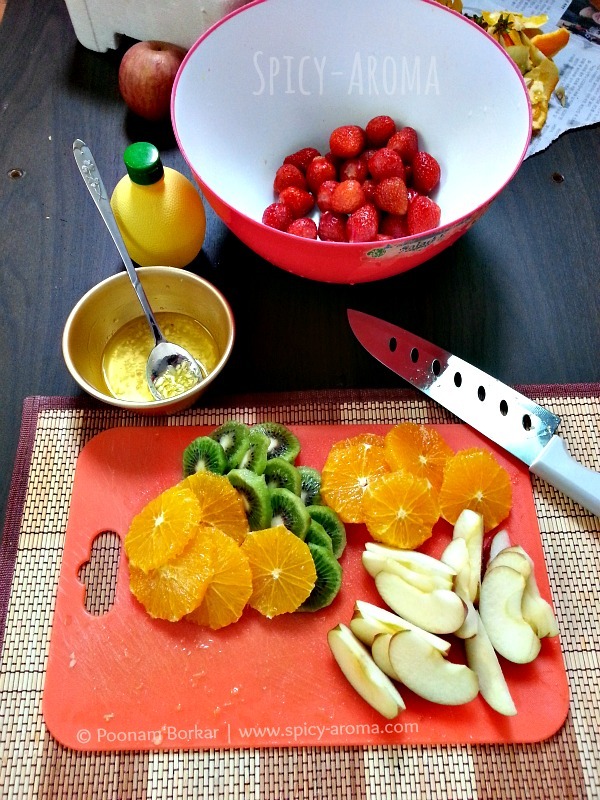 In a bowl, mix lemon juice, olive oil, grated ginger and sugar. Whisk until sugar dissolves. 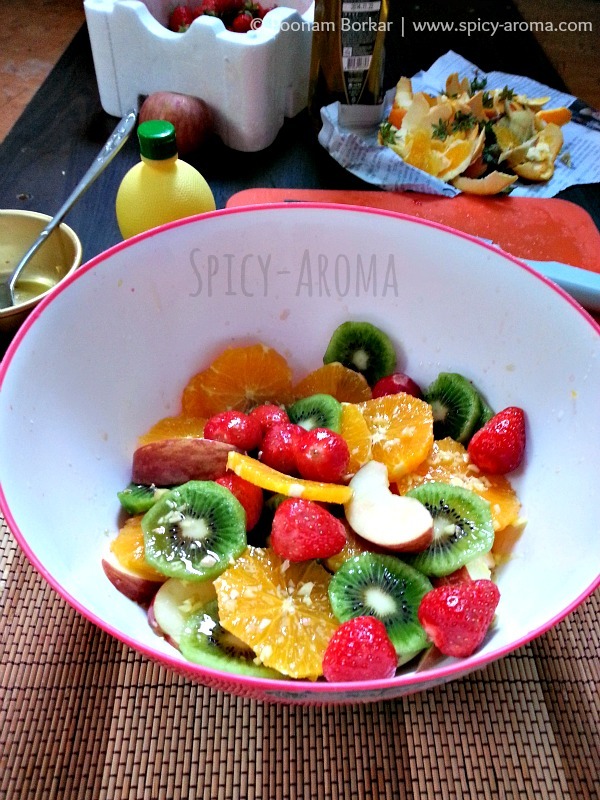 In salad bowl, mix all fruits and pour the dressing all over. Mix gently and refrigerate for some time. WOW its so refreshing looking at the pictures. so perfect to beat the heat!